There are so many electrical elements in the home that could potentially cause an issue and require our help. From electricity tripping out to sparking sockets or the smell of burning, it’s always best to call on the professionals to guarantee that you and your home are not at harm due to electrical issues. Our team at Williams can also install electrical components such as CCTV units, intruder alarms, electrics installed in out buildings and garages or install ceiling fans. As many homes in the Bristol, Bath and South Gloucestershire area date back more than 100 years, there may also be a need to rewire your entire home, or just certain elements such as sockets to ensure that everything is working correctly. Whether you’re a building contractor looking for expert electricians in the area, or a business in need of assistance for your commercial or industrial property, Williams have a strong reputation when working with clients. Our skilled electricians can perform a complete rewire service for your office during a refurbishment or provide tests and certification to guarantee that your building is safe and sound. Not only that but we can also carry out repairs to lighting and add additional lights and power supplies, as well as see to electrical faults at a moment’s notice. We understand that safety for a commercial and industrial property is paramount, that’s why we also specialize in fire and intruder alarms and door access equipment. Williams are fully qualified to carry out electrical tests and inspection to ensure that your property is electrically safe and sound. Our knowledge of the latest legal requirements and regulations allow us to provide a service that you can trust and that is delivered to the highest standard possible. There are a number of elements that require professional testing and inspection. It’s recommended that Electrical Condition reports should be carried out every 10 years for a domestic property and a full test is suggested to be completed when a property is set to be rented out or when buying and selling a property. Safety and security is key for any home, office or commercial property. 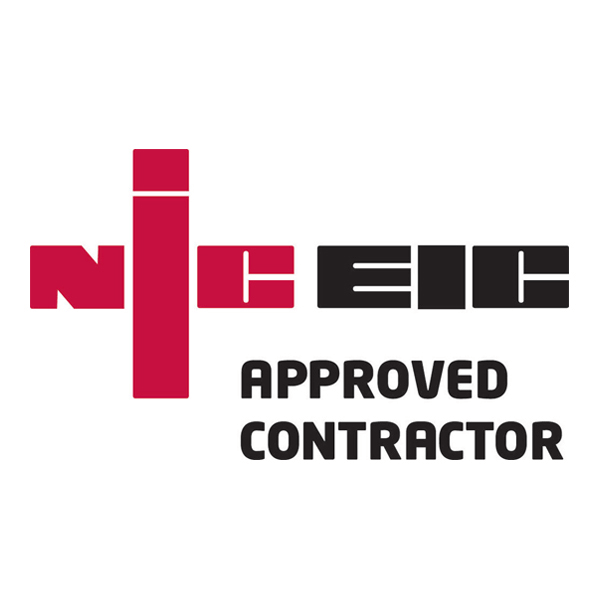 Our specialist and qualified electricians are knowledgeable in the legal requirements and recommendations to keep you at ease. Whether that’s installing new security systems and fire alarms, or providing tests and maintenance services to ensure that everything is in good working order. It’s recommended that your home should have a fire alarm on each floor, that is in good working order and is no older than 10 years. Furthermore, landlord and lettings agents need to provide carbon monoxide alarms at the start of any tenancy. Meanwhile all offices and workplaces should have arrangements in place to detect a fire as a responsibility to your employees. Williams can advise on what products are best and what requirements need to be in place for a wide range of properties. As more and more electrical cars are on the road, the need for car charging points is ever increasing. The benefits are plentiful as electrical cars are environmentally friendly and present lower running costs. Not only that, but under the Electric Vehicle Home Charge Scheme (EVHS) from the Office of Low Emission Vehicles (OLEV), a grant of up to £500 can be offered to electric vehicle drivers towards the cost of having an electric car charging point installed at your home. Williams fully qualified team can supply and install the car charging point with efficiency and at a location and time which suits you best in your bid for a better, more environmentally friendly future.